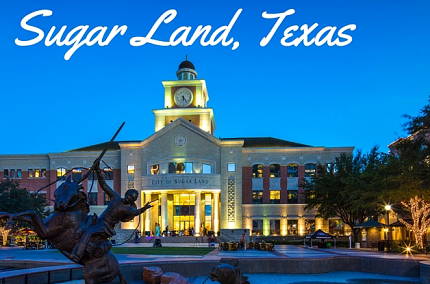 Sugar Land is a city in the U.S. state of Texas. The city is within the Houston–The Woodlands–Sugar Land metropolitan area and Fort Bend County. … In the time period of 2000–2007, Sugar Land also enjoyed a 46.24% job growth. As of the 2010 census, the city’s population was 78,817.